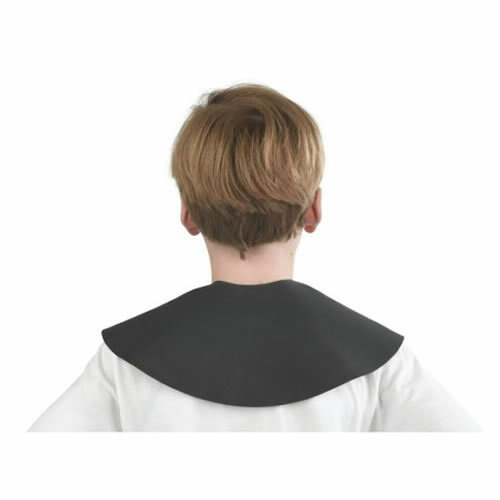 The Sibel Kid Cutting Collar has been designed especially for small necks and features a Velcro fastening for easy adjustment. Make children comfortable with a cutting collar made just for them. £7.79 (inc. VAT) Why no VAT? We're a trade wholesaler and quote our prices without VAT to help our VAT-registered customers understand the true cost of a purchase. Made from crinkle polyester this cutting cape is water repellent and has an adjustable cling fastening that will fit even the littlest neck. It measures 132 x 97 cm with a 99-cm length from the neck. Children's cutting cape with a cartoon design featuring many of the best-loved Walt Disney characters. It's made from durable high quality nylon that's water repellent and features a cling fastening that will fit even the smallest neck. Water repellent, polyester gown with a fun doggy design that'll help put kids at ease. Velcro fastening and a choice of 3 colours. Made from water repellent fabric and has an adjustable hook fastening designed to fit all sizes. Stylish water-resistant and lightweight unisex gown for children that's durable and features a special neoprene seal to keep out hair and water.